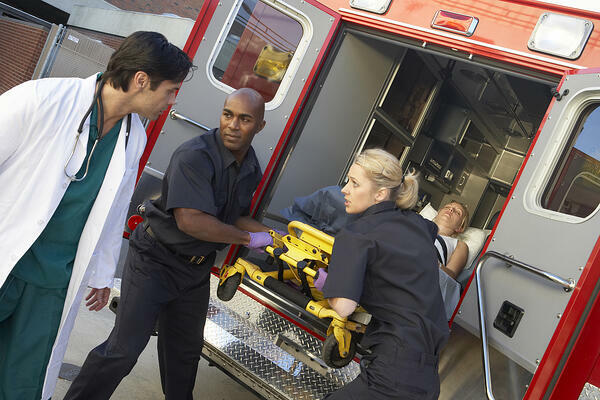 New Rules: How Will the New CMS/ONC Interoperability Rules Impact EMS? There is a federal agency that promotes, monitors, and maintains the implementation of electronic health records within the US. It is the U.S. Department of Health and Human Services’ (HHS) Office of the National Coordinator for Health IT (ONC). 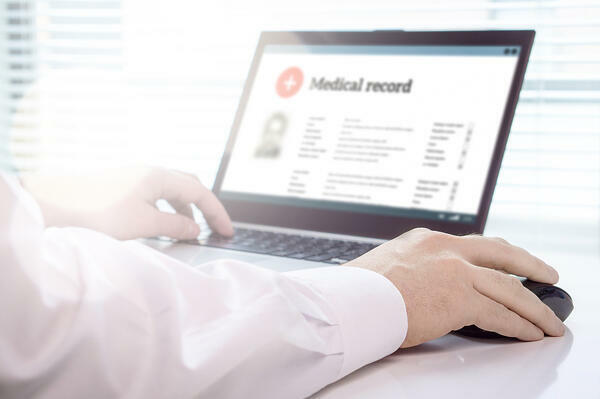 A little more than a month ago, ONC issued a proposed rule (new requirements for the use of electronic health records) to support seamless and secure access for the exchange of and use of electronic health information (EHI). The proposed rules were part of a larger law (the 21st Century Cures Act enacted in December of 2016) that has greater goals to improve healthcare by accelerating medical product development and bring new innovations to patients who need them now/faster and more efficiently. Let’s take a look at what we know about these proposed ONC rules. What are the actual requirements of this new rule? The overall purpose of this new rule is to support seamless, secure access, exchange, and use of EHI. The ONC aims to encourage choice and competition within the healthcare market while at the same time empowering patients to have better access to and control of their EHI records. Ideally, this fosters the ability of a patient’s caregiver and healthcare provider to securely access and share health information to better service their patient’s needs. Making the patient the center of the healthcare system. Supporting the myHealthEData initiative, with a goal that patients should receive/have access to an electronic copy of their entire health record, but also be able to share their data with whomever they want. Advancing the seamless flow of healthcare information across healthcare systems and providers. Decreasing the EHR and administrative burden on patients and providers. Improving transitions of care through data sharing across healthcare providers and systems. Promoting the sharing of data and discouraging information blocking within communities and healthcare systems. Promote the complete access, exchange, and use of all electronically accessible health information for authorized use under applicable state or federal law. Unleash data for research and innovation. What is the impact of this proposed rule on healthcare in general? The proposed ONC rule is highly focused on providing patient access to their electronic health record at no cost. It encourages competition and competitive markets to develop best practices. 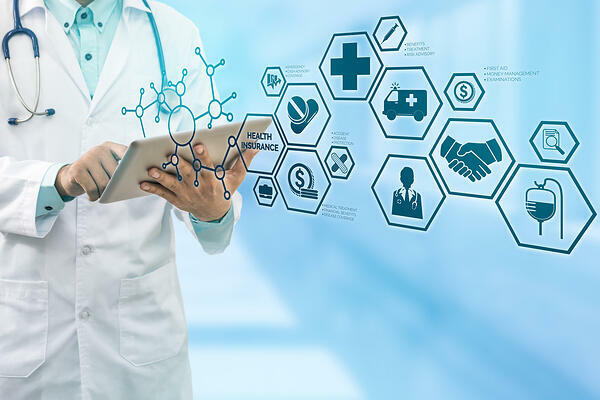 It calls on the healthcare industry to adopt standardized application programming interfaces (APIs), which would allow individuals to securely and easily access structured EHI using applications for smartphones and other mobile devices. EMS should support these API initiatives. These requirements are enforced through the ONC certification requirements of EHR systems. Currently, EMS ePCR/EHR systems are not required to be certified as a part of this rule or through ONC. Certification is currently only required for EHR systems associated with “prescribers” physician and hospital EHR systems. That being said, there are significant requirements to hospital and provider-based EHR systems. Major healthcare organizations, including the American Medical Association, have demanded a timeline extension for this proposed rule process to better determine/provide feedback regarding its impact on their business and clinical processes. What is the impact of this proposed rule on EMS? Although this current ONC proposed rule does not directly impact EMS ePCR/EHR requirements, we all agree EMS is a critical component of any local/regional healthcare system. As EMS becomes more and more integrated into these systems of care, and as their focus continues to shift to value-based care and population health, the need for unification between EMS, healthcare providers, and hospitals becomes more critical and timely. EMS must engage and use this opportunity as a mechanism to more closely engage/integrate with its local healthcare systems. EMS should also reach out to its ePCR/EHR vendors and request/require integration with their healthcare systems through health information exchange and other interoperability standards. Can this bring more resources to EMS…absolutely? Although EMS is not directly funded through this ONC initiative, the importance of EMS is critical. Success for EMS, in this greater healthcare environment, is based on communication and relationships. They are foundational strengths of EMS and we should use them to support this new value-based, population health system of care. Where does EMS go from here? First, let’s look back to the first few paragraphs of this blog. The 21st Century Cures Act puts patients first. Anything recommended for EMS should be in the front line, as is our history. EMS, by its nature, has and will always be community oriented, a community’s biggest advocate. At the same time, resources at the community and EMS agency level are limited. Ultimately, that requires the local hospital or healthcare systems to provide resources and/or financial support to any EMS ePCR/EHR system. Engage and communicate with your local healthcare system. Understand their pressure points and be a resource for their needs…it determines your needs, including ePCR/EHR health information exchange/interoperability priorities. Not all EMS needs (operational or clinical) are priorities for your healthcare system. Pick your priorities (and battles) based on communication and this understanding. A win should be for the patient and/or the system. Apply resources based on this critically important communication. EMS should expect (and the healthcare system should demand) to be a primary/integrated component of the local/regional healthcare system. If there were a single recipe prescribing how to accomplish that, politics would be much easier. In reality, politics are locally determined by relationships and communication…get the trend within this blog? You do have an opportunity to dictate policy and I would encourage it. ONC is accepting comments on these new proposed rules here until May 3rd, 2019. This link also provides access to the full 724-page proposal and multiple fact sheets about the rule and ONC’s objectives. Also feel free to reach out to me directly. Check out the ZOLL Pulse blog to learn from industry experts on how you can improve outcomes - operational, clinical and financial. Dr. Mears joined ZOLL in 2012 as Medical Director. He has been an emergency medical services physician, educator, and specialist in performance improvement for more than 20 years. He demonstrates a passion for building integrated systems of care and for using real-time data to drive EMS operational and clinical decisions. In 2008, the Journal of Emergency Medical Services recognized Dr. Mears as the Top Innovator in EMS. Prior to joining ZOLL, Dr. Mears served as the Director of Innovation for the Department of Emergency Medicine at the University of North Carolina at Chapel Hill where he was a clinical professor of emergency medicine. In addition, he served as the North Carolina State EMS Medical Director for 13 years and was the creator and Medical Director of the Emergency Medical Services Performance Improvement Center (EMSPIC). Dr. Mears received his medical degree from the University of Missouri and completed his residency in emergency medicine at the Wake Forest University. Dr. Mears was the original principal investigator for the National EMS Information System (NEMSIS), the standard for EMS data and medical record systems, from 2001 to 2006, coinvestigator/ medical director for the project until 2011, and has served on the advisory board since 2011. He recently completed the National EMS Assessment, funded by National Highway Traffic Safety Administration (NHTSA), which serves as a key resource for EMS policy and development. He is a member of and has served in leadership roles of multiple professional organizations including American College of Emergency Physicians (ACEP), National Association of EMS Physicians (NAEMSP), and National Association of State EMS Officials (NASEMSO).